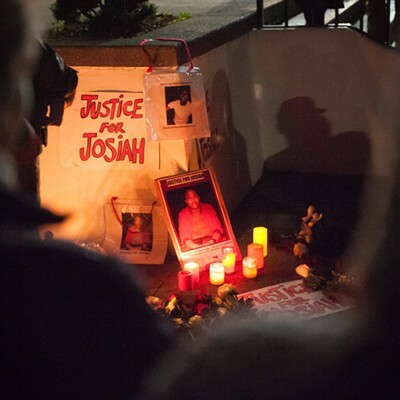 A Justice for Josiah sign and posters of Lawson illuminated by candlelight at the vigil. 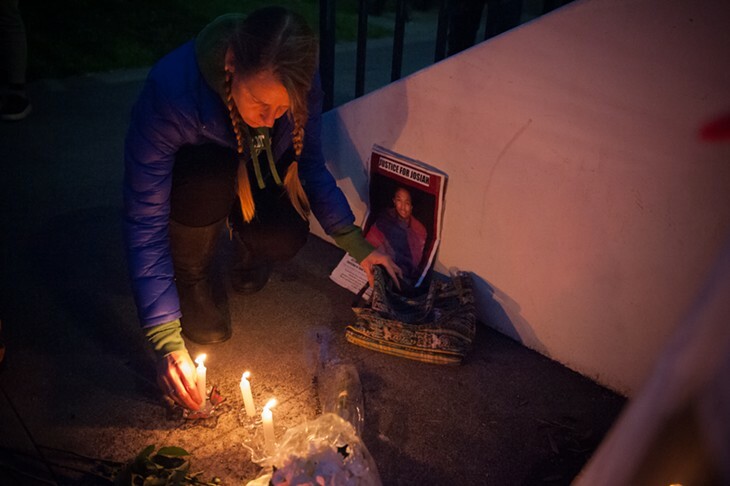 Red and white roses surrounded a photo of David Josiah Lawson on the front steps of the Humboldt County Courthouse this evening as people gathered to voice their concerns, frustrations and support for the slain Humboldt State University student. 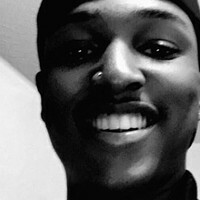 David Josiah Lawson, 19, was a sophomore at HSU when he was fatally stabbed at an off-campus house party April 15, 2017. 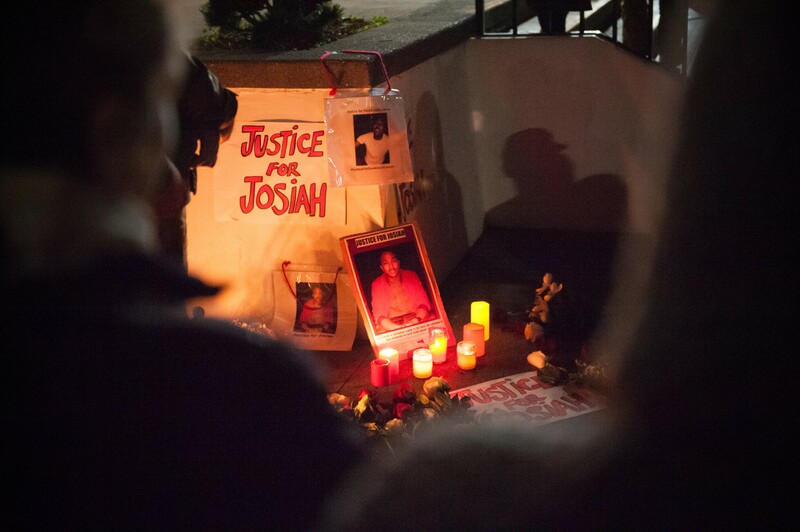 Police arrested a suspect, Kyle Zoellner, of McKinleyville, at the scene on suspicion of Lawson’s murder but a judge later ruled there was insufficient evidence to hold him the case. 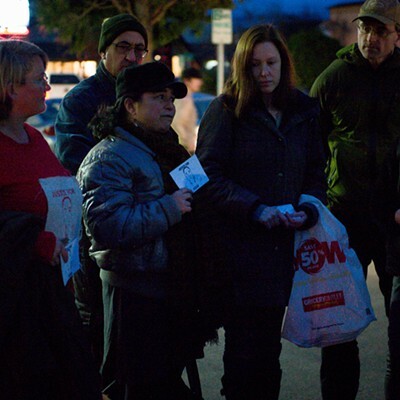 Frustrations in the community have been mounting since. 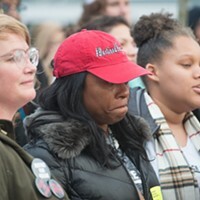 Lawson's mother and other supporters have urged Fleming to move quickly in the case and Saucedo told the crowd this evening she was happy to see community members mobilizing and demanding justice. 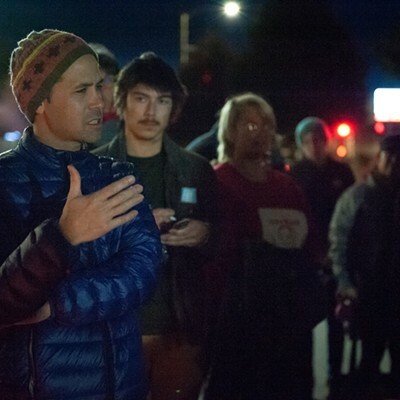 “We are calling on the DA to file charges,” Saucedo said. 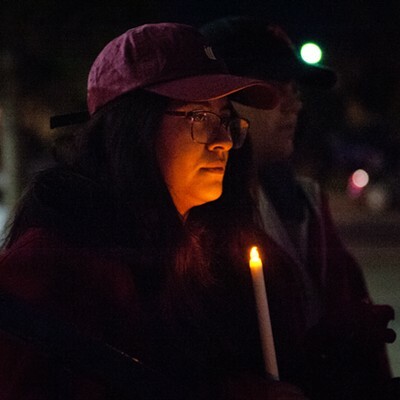 Saucedo said she spoke with Lawson’s mother last night and Charmaine Lawson told her she was unable to attend tonight’s vigil but indicated she plans to be at The People’s Rally and March for Justice next week. 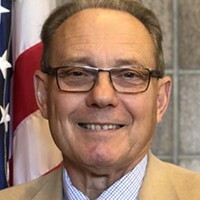 The rally and march are scheduled to begin at 10 a.m. on Jan. 21 at the Humboldt County Courthouse and will see people march to commemorate Martin Luther King Jr. and highlight local issues of racism and injustices. 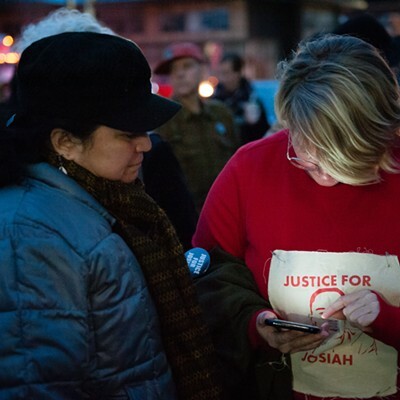 The Justice for Josiah campaign is participating in organizing the event. 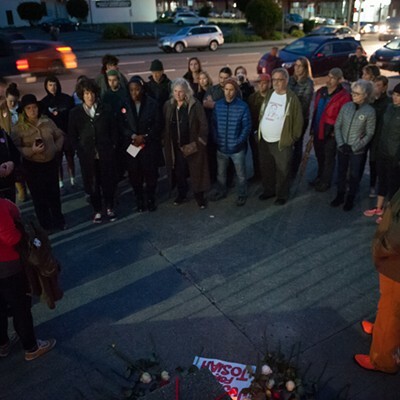 One by one, people at tonight's vigil shared their memories of Lawson, their frustrations with Fleming and their support for Charmaine Lawson. As they spoke, Shemya Vaughn wiped the tears from of her cheeks. 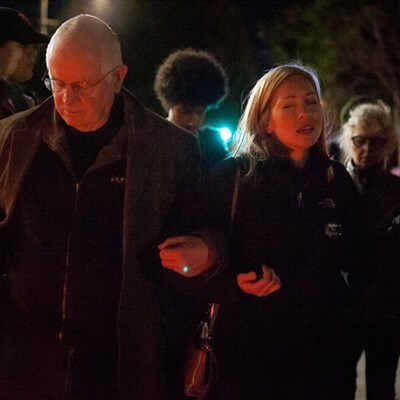 Reverend Bryan Jessup, of the Unitarian Universalist Fellowship, and Reverend Bethany Cseh, of the Arcata United Methodist Church, closed the vigil by offering prayers for Charmaine Lawson, students, supporters and Fleming. 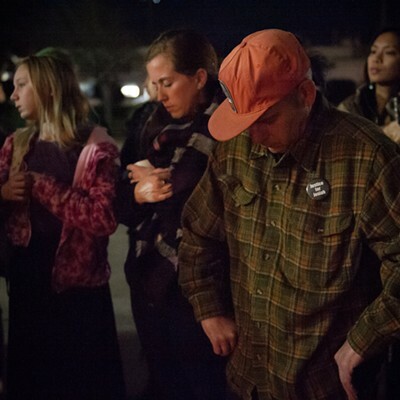 Everyone gathered around one another, touching elbows in a prayer. 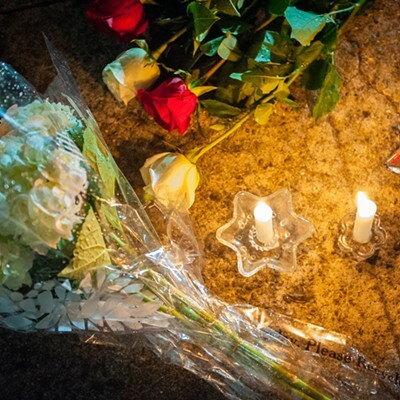 Cseh asked that the vigil end in the spirit of love. Editor's note: This post was updated from a previous version to correct the spelling of Renee Saucedo's name. The Journal regrets the error. Iridian Casarez is a staff writer at the North Coast Journal.